Fewer newly constructed homes are expected to go up in the months ahead—worsening the ever-frustrating housing shortage. 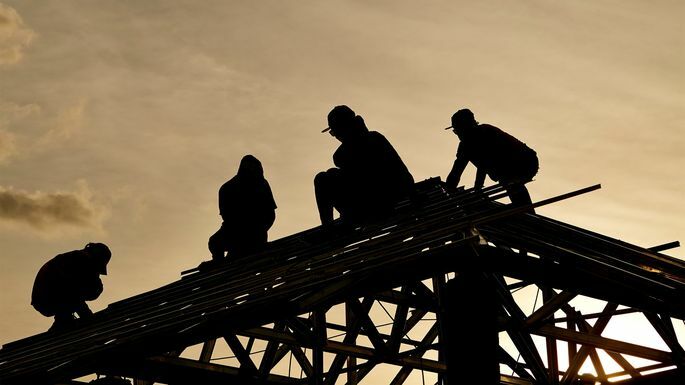 Builders secured 1,273,000 permits in June to erect new abodes—down 2.2% from May and representing a 3% drop from a year ago, according to a joint report by the U.S. Census Bureau and the U.S. Department of Housing and Urban Development. Permits are a strong indication of the amount of new construction over the next few months. “The U.S. housing market is in desperate need of new construction and [this] was a bit of a setback," Danielle Hale, realtor.com®'s chief economist, said in a statement. "The market has a long way to go to get back to a normal level of [building]." But in a spot of good news, permits were up for those so-very-much-in-demand single-family residences. They rose 0.8% from May and 4.6% from June of last year. They just weren't up enough to make much of a dent in the housing crunch. "It’s alarming that the single-family construction permit growth is decelerating, at a time when homeownership is rising and millennials are reaching their peak age to really enter the market and buy their first home," Sam Khater, chief economist for Freddie Mac, said in a statement. "The growing imbalance between demand and supply is the reason home prices continue to escalate." The big declines were in apartment, condo, and co-op buildings with five or more units. Permits fell 8.7% from the previous month and 16.2% from the previous year for these multifamily buildings. Housing starts, that is, construction that has begun but has yet to be completed, was also down. It fell 12.3% from May and dipped 4.2% from June 2017. Buyers who don't want to, or can't, wait for homes to be finished shouldn't see too many new homes on the market. About 1,261 were completed in June, including custom homes that were commissioned by buyers and never went up for sale. That's the same as in May and represented a 2.2% bump over last year. Bargain-hunters shouldn't get too excited over that slight increase in inventory, because new homes typically cost more than existing (previously lived in) homes. That's due to high land, labor, and material costs. The median cost of a newly constructed home was $313,000 in May, according to the most recent Census and HUD data available. That's 17% higher than the median price of an existing home, at $267,500, according to the most recent National Association of Realtors® data.